The idea is simple, Max/Average pooling operation in convolution neural networks are used to reduce the dimensionality of the input. And while more sophisticated pooling operation was introduced like Max-Avg (Mix) Pooling operation, I was wondering if we can do the same thing with Principal component analysis (PCA). Above paper does a great job on explaining what a PCA is as well as gives simple examples of what kind of mathematics are used. It would be a good idea to go over the pdf before reading on. 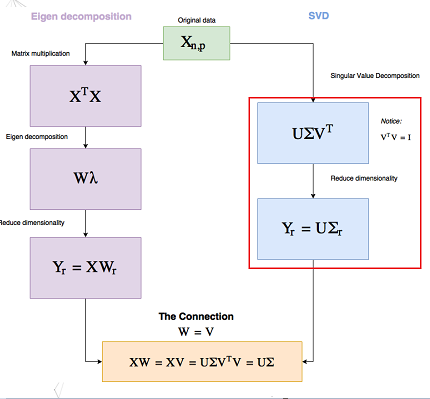 This blog post does a great job of explaining how we can perform PCA using single value decomposition. 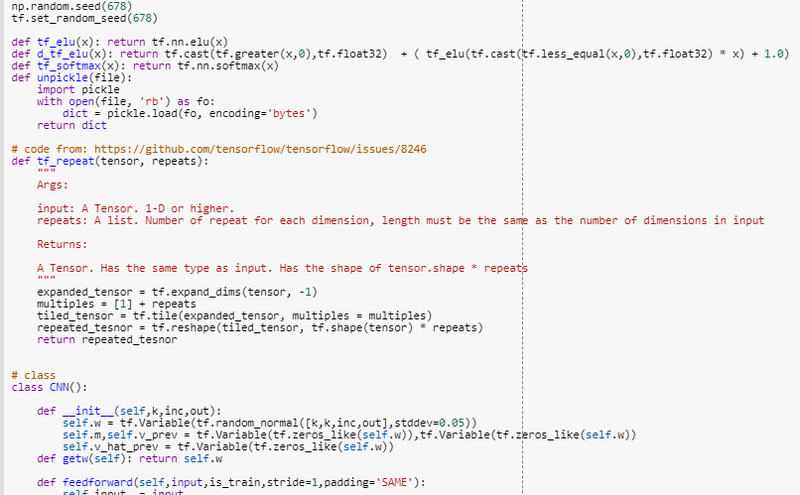 And thankfully Tensorflow already have the tf.svd() operation to perform single value decomposition. I try to understand hard concepts as simple as possible, so here is my simple (and VERY dumbed downed) version of SVD. Let’s say we have a cake called A, and thankfully this cake A is only composed of two ingredients. Milk M and sugar S. So A = M + S.
However the trick here is to know the exact combination of milk and sugar we need to make the original cake A. Lets say we need 30 Liters of Milk and 50 mg of sugar in-order to properly make this cake A, this means we need to have that information somewhere as well. The good thing about this is that we don’t have to carry around a cake (that requires lot of storage) we can simply carry around Milk, Sugar and the instruction manual (telling us what percentage of Milk and Sugar we need) as a more compact form. This was my understanding of SVD, and from here we can move on to PCA. As seen above in PCA, we drop the Right Singular Vectors and modify the dimensionalility of the Singular values Matrix in-order to reduce dimension. We can take advantage of this to make our PCA act as a pooling operation. For example lets say we have a batch of 200 image with dimension 8*8*1 in a tensor format we can write this as (200,8,8,1). 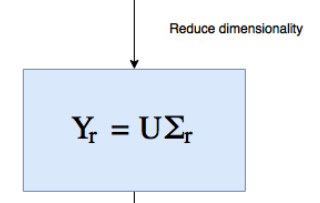 But we already know that we can vectorize the images reshaping the tensor into (200, 8*8*1) = (200,64). Now if we perform PCA to reduce the dimension from 64 to 16, we can reshape it back to an 3D image, making the tensor into (200,4,4,1). So the resulted Tensor have the same dimension as performing average pooling operation. Red Box → Updating the moving Singular Matrix (sigma) during training, however during testing time we are going to use the moving average sigma value to perform dimensionality reduction. One small detail we need to note is the exponentially weighted moving average of singular matrix. Just like when we perform batch normalization we keep track of the weights of the mean and std during training time. 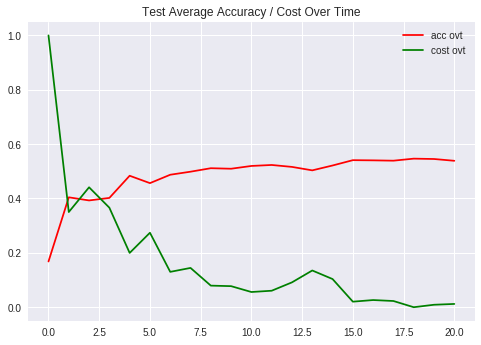 During testing time rather than using the mean/std value of the data we use the moving average value. As seen above, in batch normalization we multiply the standardized data with alpha and add the beta term. I will follow this idea and also give our PCAP layer some ability to cancel the PCA operation as seen below. The base network that we are going to use is the All Convolutional Net and as seen above (light blue boxes) the whole network is mainly divided into three different parts. Surprisingly the model was learning, how to classify MNIST images with PCA Pooling layers. 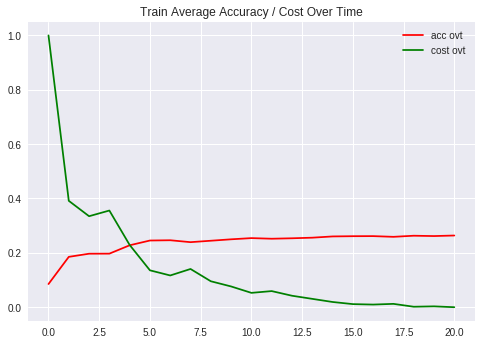 Although we need to note the fact that it barely achieved accuracy of 50 percent. (Both on test/training images). Final accuracy of 53 percent after 21 th epoch. To access the code as well as the training logs please click here. 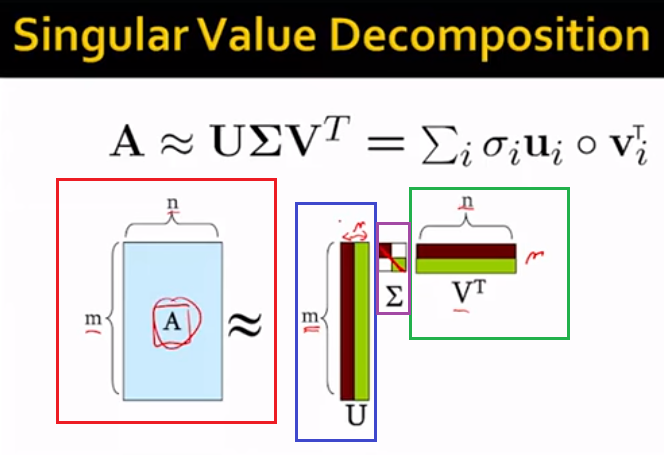 [online] Available at: https://www.quora.com/What-is-an-intuitive-explanation-of-singular-value-decomposition-SVD [Accessed 26 May 2018].